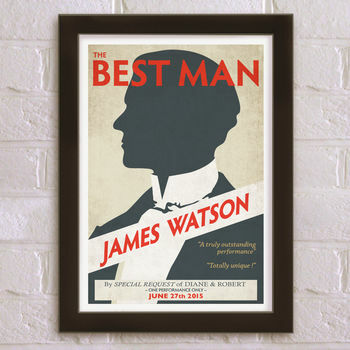 A vintage style "The Best Man" personalised wedding thank you print based on an old theatre poster. Celebrate an outstanding performance at your wedding with this stylish Best Man print. This personalised wedding thank you print makes a unique gift and keepsake. An USHER version of this print is also available as a separately listed product. 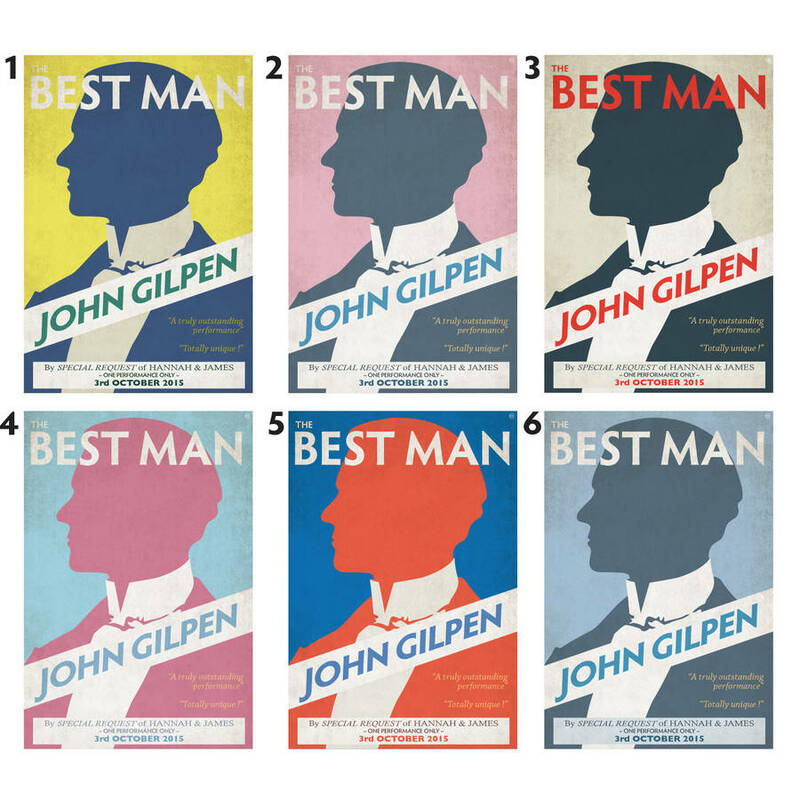 Created entirely to order in a choice of six colour schemes. The name in the central diagonal is replaced by the name of your Best Man. The bride and groom's names feature in the text box at the bottom along with the date. OR they can be REPLACED with your own quotes. 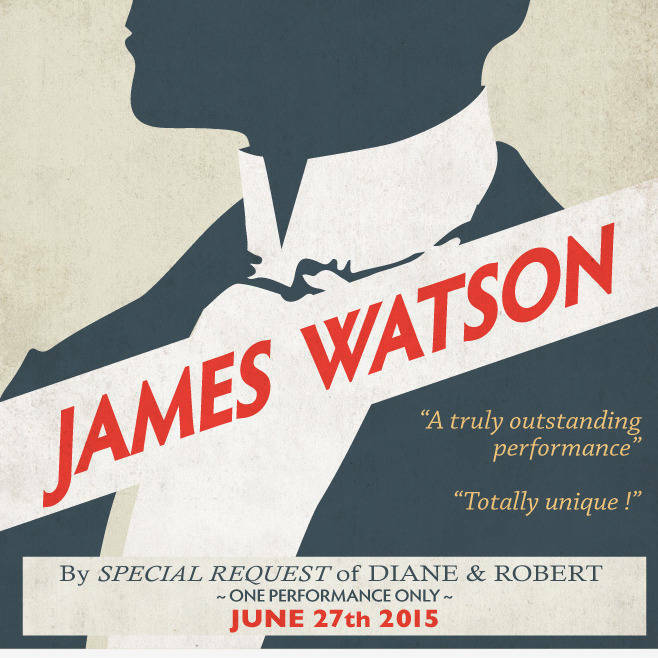 PLEASE NOTE: the words "The BEST MAN", "BY SPECIAL REQUEST OF" and "ONE PERFORMANCE ONLY" will appear by default . They do not need to be requested. PLEASE NOTE: The print has a slightly distressed, vintage look. This is intentional. Use the personalisation options to specify the Best Man's name, bride and groom's names and special date and which quotes you'd like. All the other text remains as shown. I’ll adjust type sizes, letter spacing and layout so that the design looks its absolute best. This high quality print uses top of the range archival quality paper and inks for a long fade free life. The A3 print is carefully rolled in acid free tissue paper and sent in a sturdy cardboard tube. Image and design copyright derek matthews / just for you. My logo is discreetly placed in the image. Please note that to create the vintage look the image has a slightly distressed appearance. A4. Paper size is 21cm x 29.7cm. (A4 paper supplied by manufacturer is to international standard dimensions) . Designed to fit into a standard A4 frame or larger. A3. Paper size is 29.7cm x 42cm. (A3 paper supplied by manufacturer is to international standard dimensions) . Designed to fit into a standard A3 frame or larger.